I think I should mention why this seems to trigger myself and possibly others, is the new trilogy feels like get rid of the old farts and get on with the new. I turn 60 in October. I face this mentality daily. I guess seeing it handled as they have in SW, stings a bit. Not just that, Its what they did to the classic trilogy characters - that the older fans grew up with. Their heor stories is what shaped star wars - they are legends within the franchise and got pooped on and tarnished for the sake of making way to the new and boring characters. I understand making way for the new - but Finn is a run away dull **** with pointless stories, Rey is powerful for the sake of being the first female jedi lead and nothing more and dare I say more. Han & Leia split up like a bad divorce over their delinquent emo son with a temper tantrum behaviour - how kills his father like some horrible domestic violence dispute. 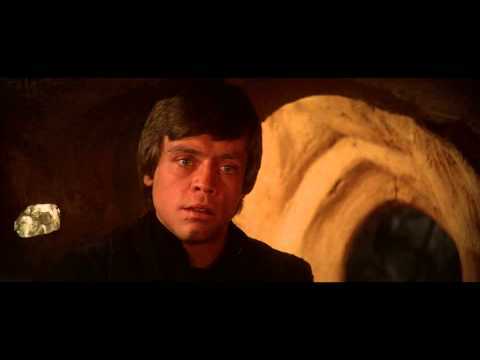 And Luke - who would abandon his friends to go drink green milk from a sea cow alien's teet until he dies. None of this is cool in regard to the OT legendary characters that Kennedy promised she would respect and preserve in the way George Lucas created them. Not really. The sequal trilogy isn't good. As long as the same people are running things at the top, I have no faith that it'll be better. I'll probably wait for Redbox on this one. Can't believe I'm saying that about a sw movie but it is what it is. Maybe if they fired Kathleen Kennedy and made it clear that Rian Johnson would never ever touch a sw movie again, I may be inclined to believe this one would be better. But JJ Abrams isn't some savoir. Ep 7 is also flawed, not to the extent as ep 8, but it still has issues. Like making the villian lose to a girl with no force training inthe first act. Ep 8 just compounded this. I just don't care what happens in this trilogy because I know super girl (rey) will win no matter what probably with no help from anyone and no additional training. The only thing they'll have Luke do is appear at the end with the other force ghosts to get their "continuity". Couldn’t care less. Let’s get some new content with this series. TLJ kinda killed any excitement I have for the sequel. I know you american people have been hating Rose Tico but I actually don't. I hated the all Holdo part keeping the "secret" plan. I hate the fact that since Ep VII, using the force means nothing. I'm sorry but bringing back force ghost luke won't make me feel different about this. As someone said, Clone wars is what bring chills. I feel bad for the actress playing Rose. Rian Johnson said he knew the character Rose Tico, didn't fit the story or Star Wars for that matter he just wanted her in. So he knew there would be problems and didn't care. He really is a novice director, in fact it is Kathleen Kennedys fault for putting a multi billion dollar IP in the hands of a relatively unknown director. Alot of the "Toxic" pushback they moan about is perpetuated by Lucasfilms to cushion the blows if SW9 fails like Solo. They can just blame the fandom when Darth Mickey wants an explanation. And even they have a fall back in place with the rumors of K.Kenndy being let go soon. If SW9 fails they will throw her under the bus to appease the stockholders. I wish ROTJ was the end and they started new hundreds of years later. True - but they could also have continued and just done it right as well - its not hard, especially having soooooo many good EU stories to draw from, we get something like TFA and especially ...TLJ??? 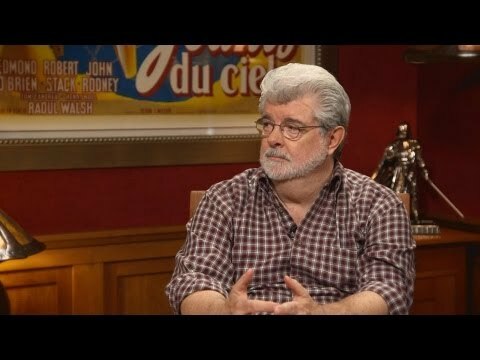 We want good Star Wars movies Disney & Lucasfilm - Not Excuses! Rian is the very essence of "The New Guy" or new employee, in a long established firm. Lots of ideas, lots of suggestions, not realizing or considering they have all either been suggested or tried and dismissed as they were not worth implementing or viable. He got excited, and was told he had free reign. And well, made SW into a high school comedy. It's breakfast club in a galaxy far far away. This is the hazard of youth versus experience. When you are literally playing with billions in the balance, you play it safe, ask tons of questions and get your feet wet. Stay true to the stories vision, not your own, and reap the rewards, then finish the Skywalker Trilogy and THEN make your own SW arc. This is not rocket science. But oh well..
What? I don’t understand the “new guy” or “breakfast club” analogies. Also, the worst parts of TLJ were the really generic, sappy, and tacked on parts (Rose/Finn, bad dialogue, etc), not the parts that were new and innovative (force skype, Luke’s sacrifice, getting rid of boring villains). Keep in mind that people roasted TFA because it played it safe. Rian said he added Rose because she reminded him of a person he'd hang out with in high school. (Breakfast Club) as for New Guy, his resume compared to JJ's is self explanatory. 5mil personal (Rian) to JJ's 120 mil. I get it they wanted to move past the OT and break new ground, if he had played it safe, he would have us speculating about the NT he is working on, and excited to see new. JJ had a 3 movie arc layed out, Rian threw it away. He earned the fall out. Now he has to own it. He based one character off someone he knew so all of a sudden he’s “Breakfast Club Guy”? I guarantee you every film ever written with characters has characters inspired by real people. Show me anything that suggests anyone at Lucasfilm had planned out the trilogy, or that RJ was the only person involved in preproduction. Also, you’re completely underselling Johnson’s prior filmography. He made two really great films and directed some of the best episodes of Breaking Bad. Also, Johnson is far from the first indie director who got tapped to make blockbusters (Gareth Edwards, James Gunn, Colin Treverrow [idk how to spell it], Ryan Coogler, Russo Bros, and many others). JJ isn’t a fair comparison considering that he had the biggest budget for a film directing debut (MI:3 with $120 mil). I won’t call TLJ a great or even a good movie, but don’t conflate irrelevant factors just to have an excuse to further criticize the film. We are each entitled to our opinions, I think in Star Wars terms, Rian is a Padawan Learner. Hahaha - so very true! Mark Hamill reveals that Luke was meant to be different in TLJ, but Johnson's TLJ script was done prior to the release of TFA, so its ending had to be changed last minute, to go along with Johnson's "vision"
The problems with ep8 go well beyond Rian Johnson. The fact that the sequel trilogy has no apparent unified story and they seem to be letting directors write and do whatever they want story be damned is the problem. I was excited to hear that Leia will be in the film - JJ said they will be using previously shot but unused footage. Not according to KK - does anyone actually know what is going on at Lucasfilm??? They should have had an outline for everything done before ep 7 and told the director to stick to it. Sure minor things can be changed bit the main story should be left alone. Although the OT had different directors they adhered to an overall story arc. This ST is just a free for all, Lucasfilm making it up as they go. Its not working. Exactly. So unless major changes are made at the top, I'm probably going to sit out ep 9 and wait until it comes to redbox. Honestly, I have decided I have no interest in SW9. I may watch it on TV at some point. It's no longer a unifying story of redemption and perseverance. Even Disney has said they will NOT offer the OT, PT, TFA, TLJ on their new streaming service, only those made in 2019 and beyond. It wouldn't surprise me if SW goes directly to their streaming service, and not the theaters. All TFA and TLJ did was divide the fandom worse then the OT vs PT nonsense did. They have dug a hole so deep I can't see a way out that would please all. 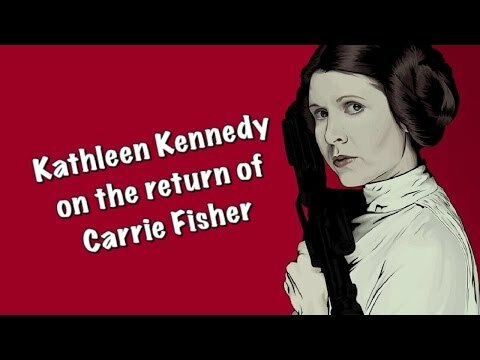 Fire Kennedy, and you upset a lot of the fans, they won't throw TFA/TLJ away or remove it from canon, so more are upset. New Coke vs Old Coke fandoms are never going to be happy, if SW 9 fails financially it could be the end of the movies. And with all this tumault going on, they have 2 huge investments in SW themeparks and hotels coming out soon. We know who to blame if it fails, but they have already labeled ALL SW fans as toxic. So of course it will be our collective faults. I dunno, Star Wars (when it was called that) was the first movie I saw in the theater. I grew up with these characters indelibly scored into my brain. As I grow older, I find the circumstances of our beloved heroes does a reasonable job of approximating real life. Life isn't a fairy tale. Tragic things happen to well-intentioned people and they can be hard to overcome. A fractured marriage resulting from a troubled child isn't novel. An idealist becoming a recluse because his best intentions but personal failure led to ruin - that's not a stretch to me. I find this path a lot more interesting than re-hashing the old "secret lineage" trope of movies past, wondering about nothing more than parentage and "ooh, what plot device will they use to get out of this predicament." I'm not saying the ST is perfect by any stretch, just that I find it far more interesting and less objectionable than my more vocal demographic-mates. And @Boo - they had an overall story arc in the OT that changed based on contractual stipulations. The ST arc is unpublished, but who's to say it's unfinished or the beginning and the end have changed at all? Certainly not us. Han Solo was frozen in carbonite because Harrison Ford was bored with the character and wasn't under contract for the final installment when they filmed Empire for goodness sake. Hahaha - no you have a lot of flawed statements there and a lot of flawed assumptions as to what I was saying. The overall story was the creative design of George Lucas - while the films had different directors his creative design is what persevered - Yes Ford began hating his character. He was under contract by the way. He pleaded with George to kill off SOlo and George didn't want that for his main characters - Carbonite it was for Solo's character in TESB. He wasn't under contract for ROTJ - but went along with George's wishes respectfully. I am sure Ford is happy Solo met his demise in TFA - that was ok to me, as SOlo had finished his story arc (thus completed the OT). Lucasfilm today clearly do not have an overall story planned out - they do not know what they are doing. They also clearly do not respect the story or the characters as George did. Very sad, but also very true. Did you view those videos I posted? You'd see that Lucasfilm is clearly quite confused what is going on with the franchise - heck they can't even correctly see why Solo flopped. They have to recognise and own their mistakes if E9 has any hope. I don't deal in absolutes, I deal in fact. If Lucasfilm can't pull E9 together (I am not saying its not possible to do by the way) then the franchise will continue to suffer. Hear me out. All this upset was calculated and factored in when it was planned out how to go forward with the Star Wars franchise after it was purchased. JJ directing TFA drew people in. Rian being a comparative newcomer to directing was given the task of finishing off the trio. How he did this was up to Rian, he would take the heat. Now, over the hill, it's the 7th Calvary lead by.. JJ, to bring it all home. In short, this was all planned and orchestrated masterfully. Honestly it's brilliant, and worthy of a Sith Lord. Think about it, and all the pieces fall into place. There is no social agenda, that was a rouse to misdirect the audience. It's Magic 101 for beginners. Have the audience looking everywhere else, and away from you slipping the red rubber ball into your pocket. To those that undoubtedly are looking away whistling, gotcha. Like Robert Duvall said in GF2, "Roth played this one beautifully". And so did those behind this seeming debacle. Think about it, it makes sense, in a completely evil way. Order 66 was finally completed. What? Is your big epiphany that studios pick directors years in advance? I don’t understand what your point is or why Lucasfilm would gain anything from intentionally angering fans. By finishing off the trio do you mean the trilogy (Johnson was never supposed to direct 9) or han, luke, or leia (Johnson only killed off Luke)? JJ wasn’t originally supposed to direct ep 9. It was supposed to be Colin Trevorrow but he made The Book of Henry which bombed. Rian Johnson isn’t a “new” director. He’s written and directed three feature films (one of which made $175 million) and directed three incredible episodes of Breaking Bad. He’s got just as much, if not more experience than most blockbuster directors. Colin Trevorrow had only directed one feature film before being hired for Jurrasic World. What does any of this have to do with a “social agenda”? It seems they are incapable of capturing the Star Wars spirit. A SW story only needs to be a simple adventure with a few neat characters. The OT certainly was not a very complicated story, but it was received much differently. Or maybe we just expect too much from them. I mean, nobody raged when the Emperor was defeated without giving us his back story. On the other hand, Snoke's very existence in the SW universe just did not fit. He wasn't around when the Emperor was in power, so the obvious question where did he come from needed to be answered. There isn't enough time in a film to cover everything, so he never should have been introduced. Nobody raged when Tarkin was eliminated having barely filled a token role. Yet somehow Phasma's demise was completely unsatisfying ... like her importance was never really well illustrated. Even Veers was a more fulfilling character, and he was barely even present. Is it because of the new stories, or is it because of the audience? At any rate, TLJ did not treat Luke's character the way I would have liked. It seems Mark Hamill agrees. Why would he even want to come back and reprise the role unless it did justice to the character? He's probably under contract still. It's not the stories that have changed, but the viewers. More specifically, the viewers of the OT that were "raised" on Star Wars. Nothing ever truly compares to your first love. It can't. Your brain isn't made that way. Memories are elusive and ever changing things. In fact, the more we access them, the more we change them and the less authentic and representative they become. We romanticize and idealize these things from the perspective of our youthful selves, without truly realizing the heights they reached are now unobtainable from our current experienced perspective. I've watched A New Hope two nights in a row, thanks in large part to a fully indoctrinated child. It holds up for 40 years old, but it really does show its age. It's a great movie to me now because of everything that has come after it. But taking a detached, unemotional look at it - the soundtrack was great - the story is of course timeless, the dialog is weak, the acting average and the direction, atrocious. Lets not forget that TFA is basically a carbon copy of ANH, so the first movie did a lot that was right, direction included. In many ways the new trilogy is a kinda reboot. And rightfully so. I think Mark said it best "This is not my Star Wars anymore". With a new Disney streaming service, Disneyflix, in the works for next year, Bloomberg reported last week that the company is looking to undo a 2016 deal that gives Turner Broadcasting the rights to the Star Wars movies through 2024, on both television and streaming video. Talks between the companies are ongoing, with Turner apparently asking a sizable sum from Disney to bring the deal to an early end. Given that Turner originally spent $275 million, you can't really blame them for trying to recoup the money. Meanwhile, the existing deal with Netflix for new Disney movies—which covers Rogue One, Star Wars: The Last Jedi, and Solo—will sunset at the end of the year, according to the New York Times. Given what Disney stands to make by having all of the Star Wars movies on its proprietary streaming service, it's almost guaranteed to find some way to make the deal with Turner, which means one simple thing: Come the service's launch in 2019, there'll only be one place to stream Star Wars movies—but at least they’ll all be there together. All of those things you said are true. He's a fantastic world builder and ILM was groundbreaking at the time. I don't think he's good at getting the best (or maybe even good) performances out of actors.